Perennials are commonly used in gardens to add color to the landscape, but should be chosen according to the climate of the region. Colorado lies in the USDA hardiness Zones 2 through 7 and a wide range of perennials thrive in the state. The best choice is native perennials because they are naturally adapted to the environment and soil conditions of the region. Colorado columbine, Aquilegia caerulea, is the state flower of Colorado. It is also referred to as blue columbine and Rocky Mountain columbine. Colorado columbine is an eye-catching perennial with well-proportioned flowers with violet or blue sepals and white or violet petals. The perennial thrives in partial shade and well-drained solid, and is commonly found on rocky slopes and near streams. The columbine reaches a mature height of 18 to 30 inches. Bloom time is late in the spring. These plants are easily grown from seeds. 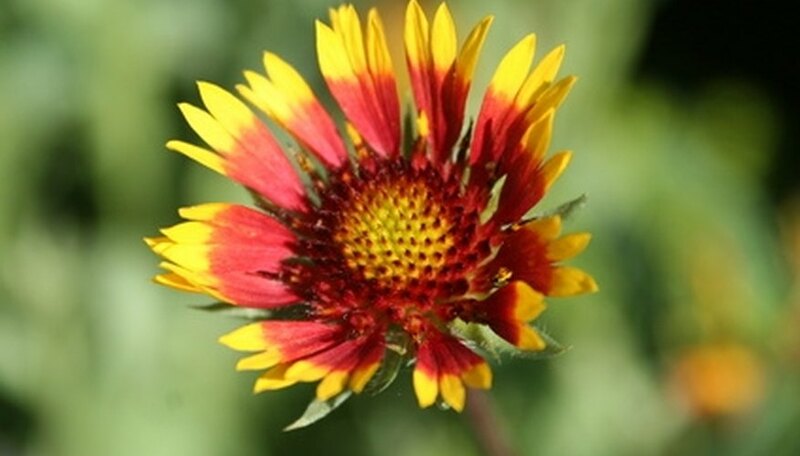 Blanket flowers, Gaillardia x grandiflora, are bright colored, hardy perennials that look a lot like daisies. The flowers are 3 to 4 inches in diameter and bloom in red, yellow or double-colored varieties. The foliage is hairy and gray green. The plants reach a mature height of 1 to 3 feet and native to the desert and mountainous regions. Recommended planting time is late winter and early spring. Plant in full sun from seed or bedding plants. It takes longer for plants to bloom when grown from seed. The plants are easy to care for and are highly resistant to drought. Fertilize every month during the summer with a water soluble fertilizer. Rocky mountain penstemon, Penstemon strictus, also known as beardtongue is a perennial sub shrub. The flowers bloom all summer in shades of red, white, pink, purple or yellow. The flowers get their name from their tubular shape, which seems to have whiskers growing out of its open mouth. The flowers are small and grow on 1 to 2 feet stalks. Penstemons need lots of moisture but do not like to have their roots sitting in water for extended periods of time. Plant in sun or light shade and in rich, well-drained soil.